Good news for football fans ESPN will have games in June. Sorry I did not mean to get you excited if you misunderstood, it is not American football but the European style, when it broadcasts the UEFA European Football Championship 2012. The network is staying true to its word about expanding and deepening its coverage of the sport in the US and it will be doing so with all of the tools at its disposal, live broadcasts, tape delayed, mobile and Internet coverage as well. The broadcasts will be spread across three of its channels with some overlap starting with ESPN Desportes taking the lead with a total of 27 live matches and four tape-delayed ones for a total of 106 hours of programming. Second at bat will be ESPN with 22 matches as well as pre- and post- game shows while ESPN3 will have six matches and the additional pre-and post-game programming as well. All 31 of the matches will be available on ESPN Deportes Radio, WatchESPN and 25 matches will be live on ESPN Mobile TV. All broadcast games will be in HD for the first time. While pre- and post-game shows are a staple for American football fans this will mark the first time that ESPN will be including them in its UEFA broadcasts and including some of the traditions such as the teams walking onto the pitch, the national anthems and ceremonial handshakes that are a cornerstone of European pregame ceremonies. 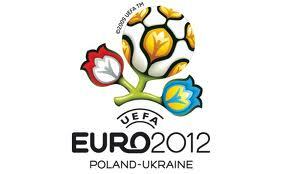 The tournament begins Friday, June 8, and runs through Sunday, July 1, in eight cities across Poland and Ukraine. If you are on vacation, graduating from school, or working during the games all 31 matches will be archived and can only be accessed on ESPN3 through July 31, 2012, and non-exclusively through the end of the year. All matches will be available for replay on ESPN3 shortly after completion.